I do this. Minus the denial stage. 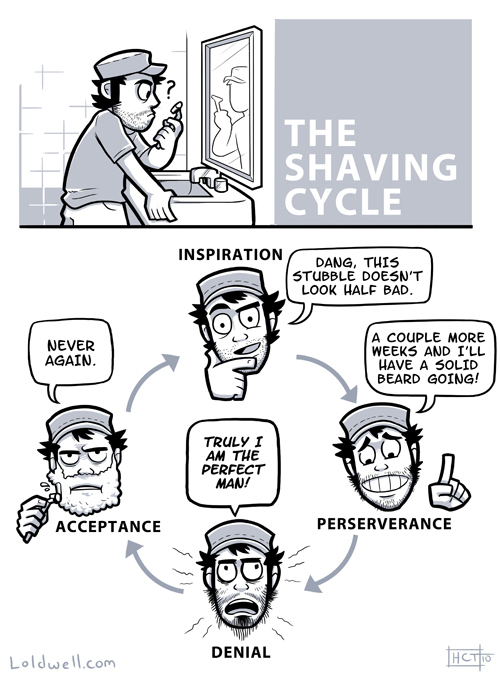 Laziness- the seed of many a beard.